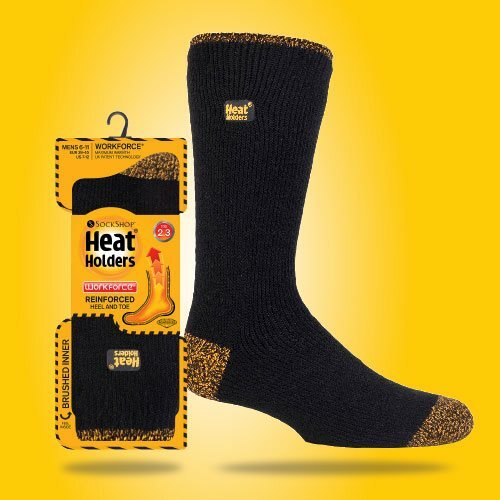 Heat Holders Workforce Socks combine the original thermal power of 2.3 tog rating with a reinforced heel and toe for heavy-duty usage. Scientifically proven to last an incredible 46 times longer than a standard sports sock. 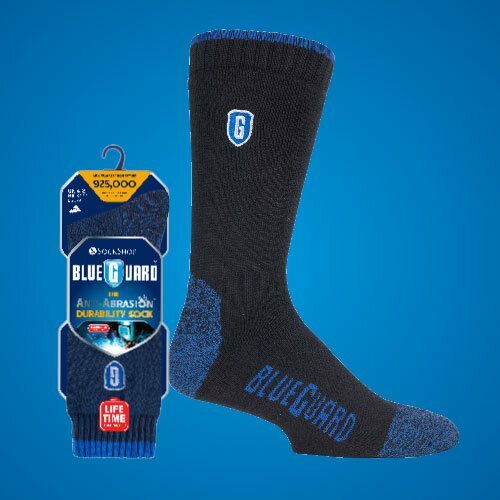 The maximum density sole padding of these boot socks will ensure that each step you take is cushioned and protected all day long. From construction professionals to DIY enthusiasts and gardeners, our socks are perfectly designed to work as hard as their wearer. 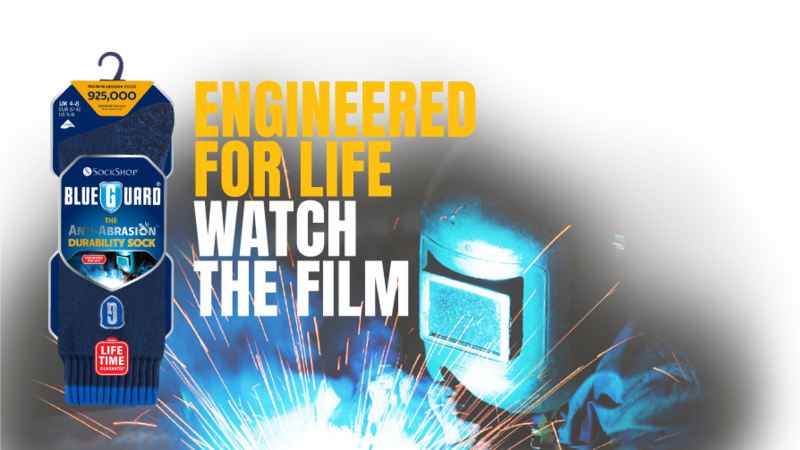 Our range of products includes general purpose boot socks, wellington boot socks, and socks specially designed for use with steel toe-capped boots and shoes. Whether it’s for work or for recreation, Workforce thermals will keep you warm and comfortable. Our range of thermal underwear features seamless construction and a brushed inner to maximise retention of warm air around the body. Are your customers throwing money away on work socks that just aren’t up to the job? Some so-called “work socks” are just standard sports socks in different packaging. With ladies size 8 long slim feet, I have always had trouble with socks, getting a brand that suits and stays where it should and then does not let my toe poke out in no time at all, but the fit and comfort of these socks is brilliant, they support in just the correct areas and I like the fact that they have a left and right foot to the pair. Thanks Workforce Socks, keep up your Very Good Work. These socks are very comfortable and keep my feet warm while working outdoors. They seem to be very durable. Although they are rather tight to get on and off, they do not slip down at all. These socks are very good and warm. I have tried quite a few socks from different shops in the past but none were as comfortable as the Workforce socks. They do not make your feet too hot like other socks and are good quality. They wash well and I would definitely consider buying these again. I tried the Workforce socks recently and have to say I was very impressed with the quality and fit of these socks. I usually buy specialist socks for use on site and these are better than my current favourite brand. These are warm without becoming too hot and allow your feet to stay comfortable all day. The material is good and they have washed well. I will certainly be looking to buy more of these in future. The Workforce Wellington Boot socks are long enough to reach the top of a boot and offer a comfy cushioned feel with an elasticated top. Very warm, a sensible price and I can share them with my husband.